Looking for a job? 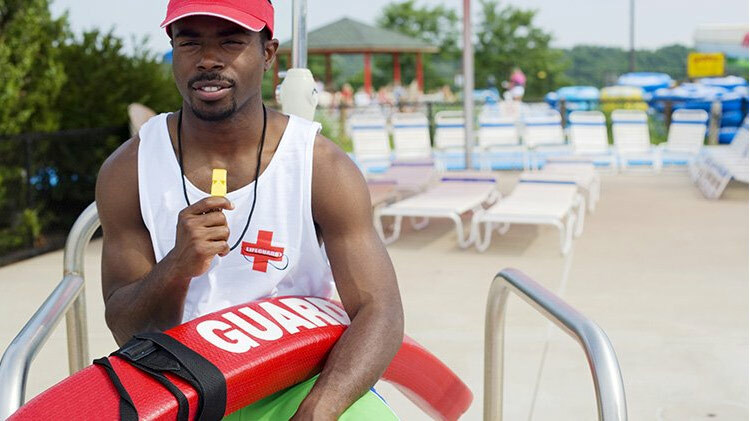 Get certified as an American Red Cross Lifeguard. Participants are required to complete a pre-screening for $50 (non-refundable). Lifeguard Certification Course is $150. You must pass the pre-screening in order to register for the Lifeguard Certification Course. March 2, 3, 9, 10, 16 and 17. This is a weekends only course. Class will be from 8 a.m. - 4 p.m. each day. You must attend all classes to get credit for the course. Open to the public, ages 15 and older. As future dates become available, they will be listed on this webpage. Register at the Tolson Indoor Pool, Bldg. 4-1431 Normandy Dr., Monday-Friday 8 a.m. - 6 p.m.